Pozza di Fassa is probably one of the coziest ski resorts in region and it offers great ski holidays for all the family - even skiing at night time is possible. The village itself has strong influence on history and culture in the whole valley. We at Alps2Alps will be more than happy to be your transfer service providers to this marvelous ski resort. Ski resort is located at the wildest part of Val di Fassa ski region. Region is rich in culture, history and natural beauty. You can enjoy spectacular skiing throughout the day and calm, Italian restaurants in the evening. There is something for everyone with a wide choice of friendly, intimate skiing areas for all standards and tastes. There are no direct trains to Pozza di Fassa. The closest train stations are Trento, Bolzano and Ora. Daily bus connections from train stations to Val di Fassa region are provided. When looking for your transfer partner to Pozza di Fassa,be sure that Alps2Alps will offer the best price - our main goal is to provide the best transfer service with the lowest price possible. The mentioned factors will only result in our base rate going down and never up. If you are travelling to Pozza di Fassa in off-season and off-peak time, you can count on great discounts and keep in mind that if you choose your transfer in midweek (Monday-Friday), the prices can be even up to 60% lower than weekend prices. Apart of factors mentioned before, your transfer price will be also influenced by availability of our vehicles, transfer schedule, vehicle utilisation and other costs like road tolls and airport parking charges. 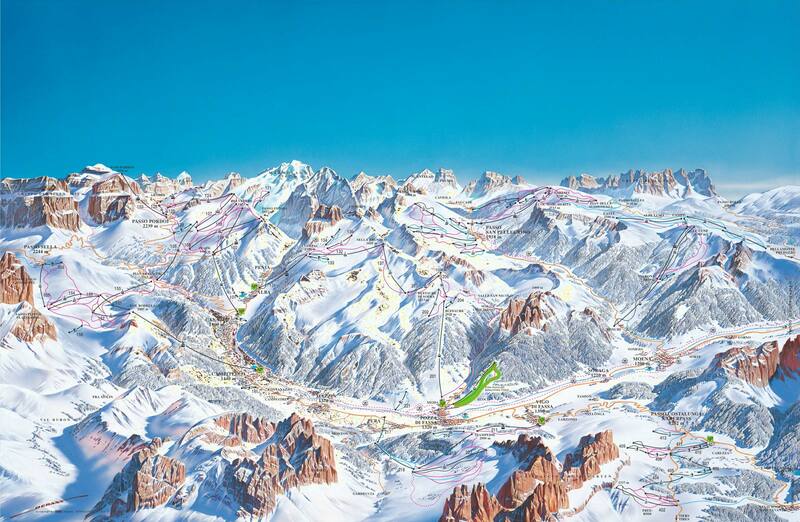 Resort of Pozza di Fassa might not be of the biggest size, but with Silver ski pass you can enjoy approximately 210km of ski runs at Val di Fassa and nearby regions.. Families are more than welcome at the friendly Pozza di Fassa - ski resort is very suitable for families with kids as they can find there everything they need. There are special offers for kids, play facilities and special discounted package deals. Not to forget night skiing with a spectacular views and memorable sensations. If you are in search of best possible transfer deal to Pozza di Fassa, look no further and choose Alps2Alps as your service provider. If you are planning to travel to Pozza di Fassa during peak season, book your transfer early as they tend to fill up fast.